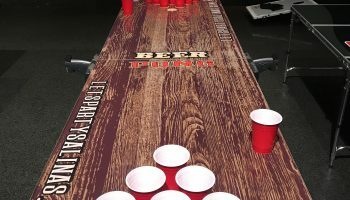 At your next adult party test your skills with our amazing rustic wood finished Beer Pong Table Rental Game. 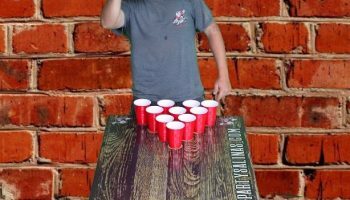 This awesome looking official size Beer Pong Table Rental Game can be set up either inside or outside. We have stepped this Beer Pong Table Rental Game game by adding a nice wood grain finish with cup placement template. 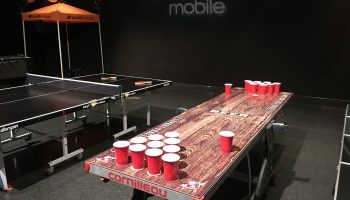 Beer Pong Table Rental Game typically consist of two opposing teams with one to two people per team. Each side has ten cups set in a triangle formation where each team takes turns attempting to shoot ping pong balls in the opposite teams cups. If ping pong ball lands in cup the contents of that cup must be drank and cup is them removed from the Beer Pong Table Rental. The goal of the Beer Pong Table Rental Game is to be the first team to eliminate all of the opponents cups. 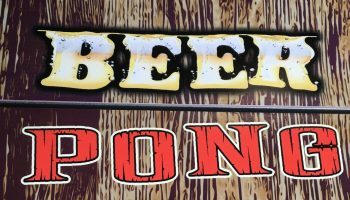 Beer Pong originated in the 70’s by Bucknell University and was originally called throw pong. 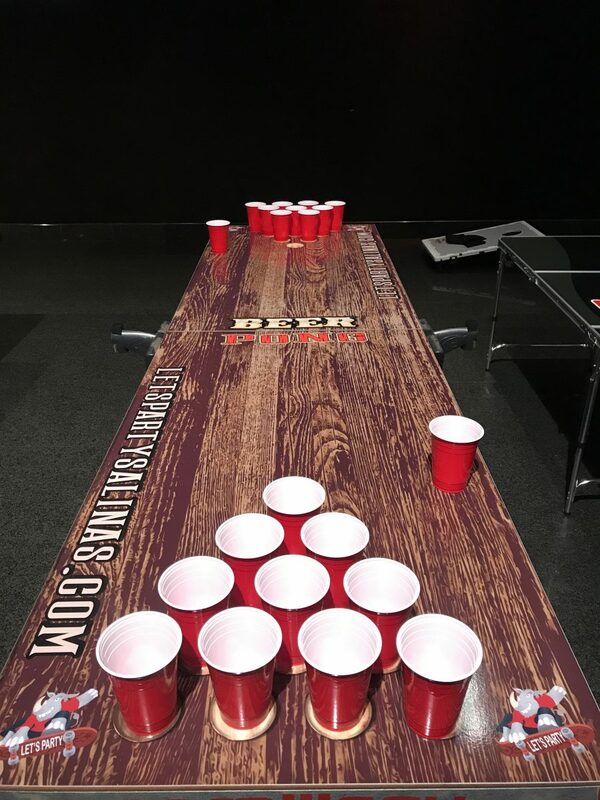 Our Beer Pong Table Rental Game can be played at parties, bars, college/universities, graduation events and even at your next sporting event tailgate celebration. Material required for our Beer Pong Table Game are 1 table (included in rental) ping pong balls (6) and red solo cups (22). 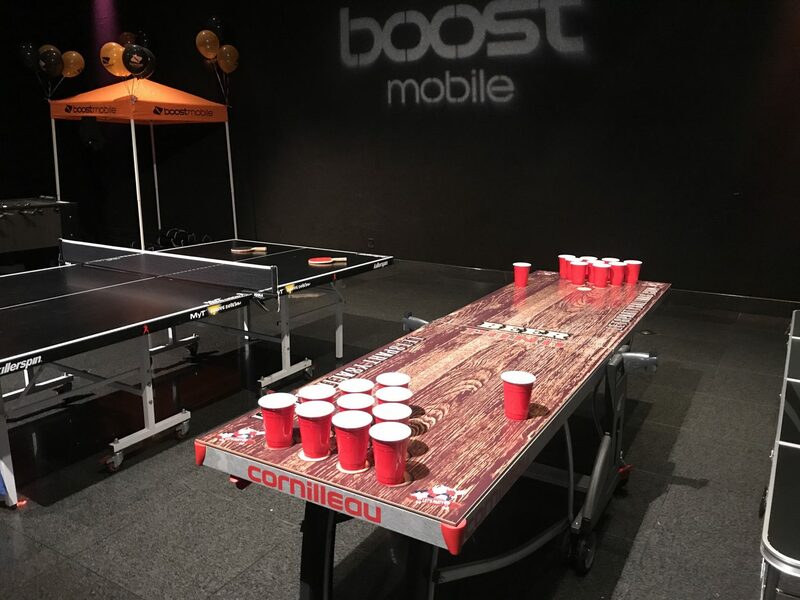 Let us bring the fun to your next event with this custom design Beer Pong Table Game. We deliver all of our one of a kind games to the entire California Bay Area Cities. 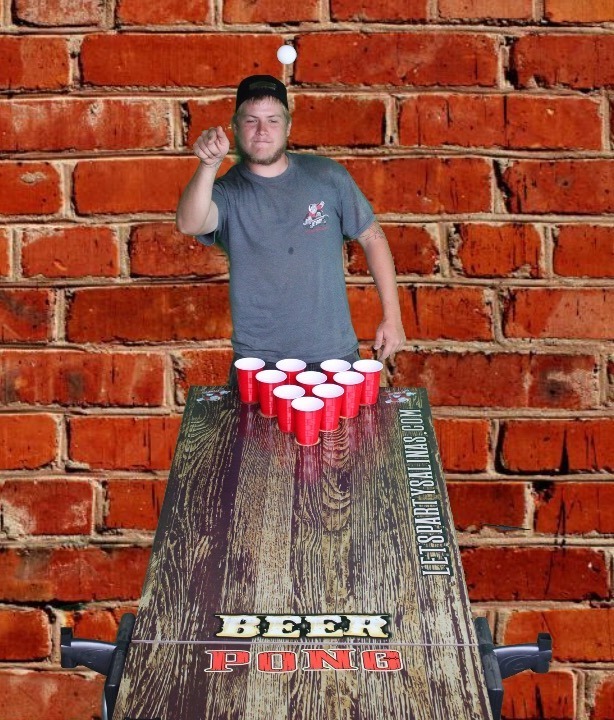 We do ask that if we need to deliver this Beer Pong Table Game to your event that you must rent other items from us. 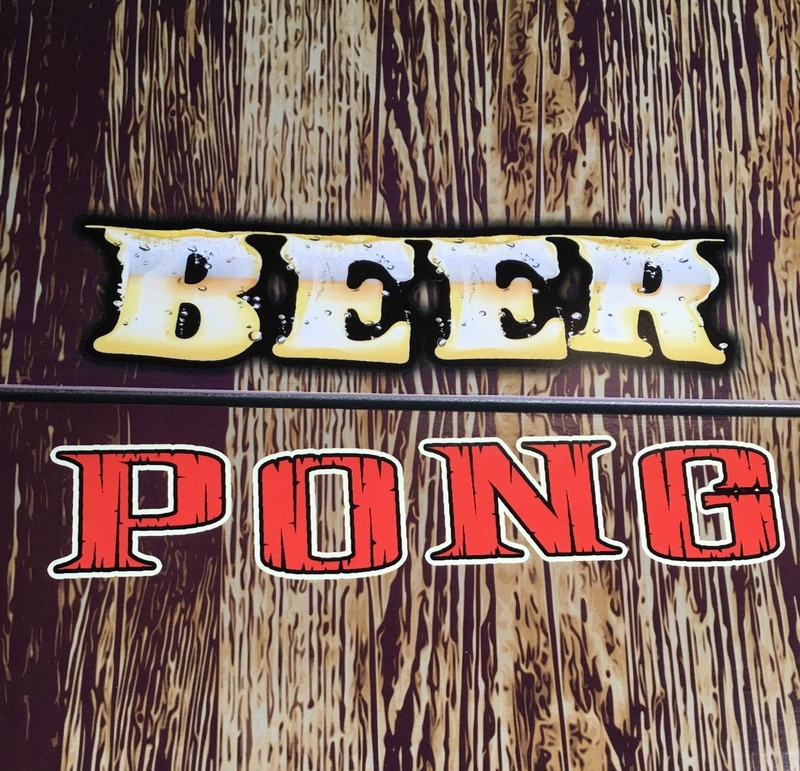 We ask that if you decide to rent our Beer Pong Table Rental Game to PLEASE DRINK RESPONSIBLY. Never drink and drive. Have fun with this game it can get addictive.